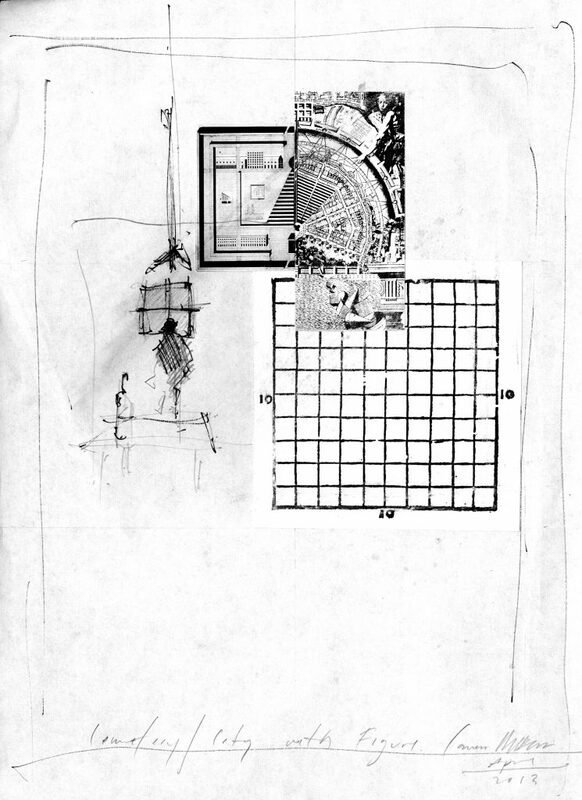 The following collage studies and the accompanying short text approach the notion of crisis through a reading of what the architectural historian Manfredo Tafuri has called the “project of a crisis.” For Tafuri, crisis was etymologically linked with the political category of decision (de-cision, to de-cide, to de-fine), which shares the prefix de- from the Latin for “off” meaning “to cut off” or to separate and isolate. 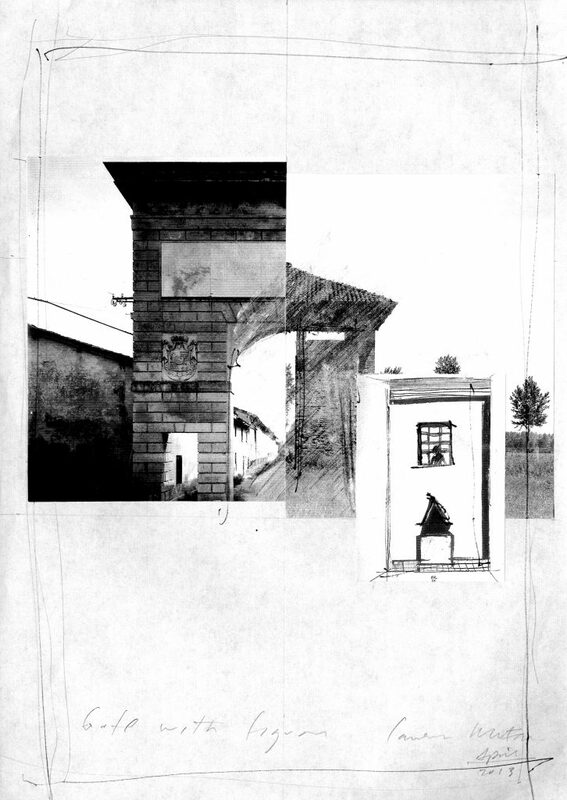 These ideas are given political and methodological significance in Tafuri’s work as he constructed a project from the fragments of the historical avant-garde and theorized the relationship between architectural and political ideology, between critical thought and agency. Cutting, separating, isolating, joining together of material, are operations in the construction of a collage or montage. 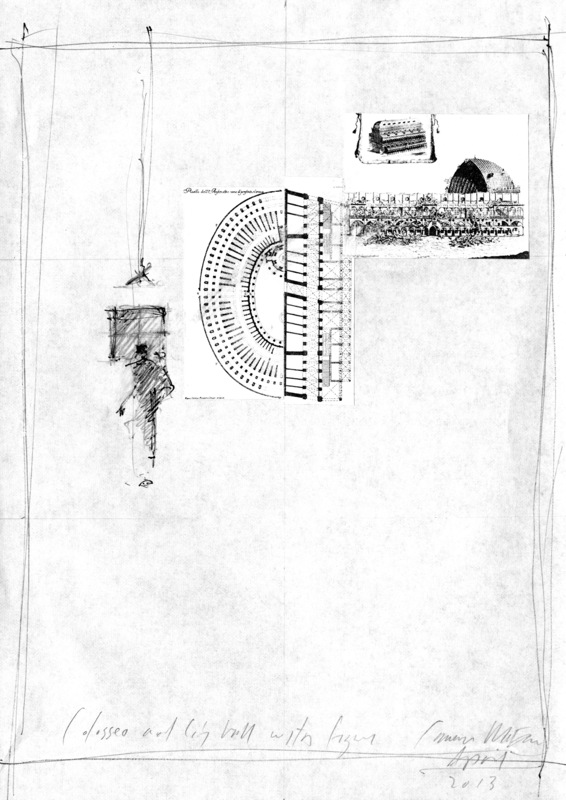 The collages in “Notes on the Crisis of Historical Consciousness and Formal Knowledge” take Tafuri’s statement on the project of a crisis as a point of departure. They operate on the historical and formal knowledge of architecture, combining and recombining elements and forms. They examine conventions of authorship, predictability, composition, and the relationship between thought and image, reflective and projective operations. History, knowledge and thought are put into crisis toward a possible remontage. Today there is a crisis of knowledge. In Factories of Knowledge, Industries of Creativity the political philosopher Gerald Raunig has noted the conjunction (the montage) of contradictory keywords that describe this situation: “Knowledge economy, knowledge age, knowledge-based economy, knowledge management, cognitive capitalism – these terms for the current social situation speak volumes. Knowledge becomes commodity, which is manufactured, fabricated and traded like material commodities.”2 Knowledge is commodified and instrumentalized through procedures, protocols, and technologies for the purpose of profit and power. If knowledge is understood as historically and collectively produced, shared thinking toward shaping the world, it is paradoxical that today knowledge is intensely market oriented toward an ethos of individual entrepreneurial, managerial, and consumerist mentality. Knowledge is no longer critically acquired but passively consumed. Deep thought and critical intelligence has been abandoned for instrumentalized reason and immediate gratification. In architecture this has led to historical and project amnesia. We need to affirm historical consciousness, a critical intelligence toward the history of architecture where history is a foundation for critical judgement and projective potential. We need to reactivate our capacity to perform judgements about present work against what has gone before. We need to understand the projective potential of the history of architecture as an accumulation of formal knowledge: critical principles, creative approaches, analytical strategies, spatial forms and concepts to be rethought, reframed and transformed for project thinking. 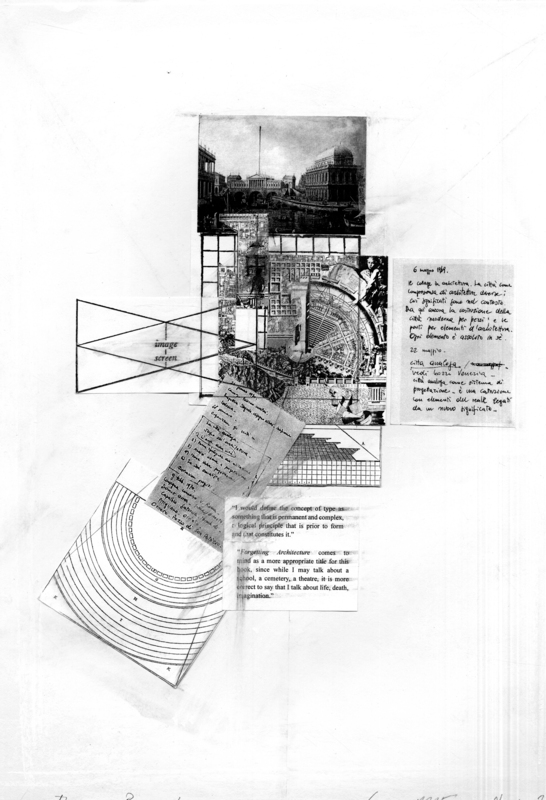 These collage studies examine historical consciousness and formal knowledge. 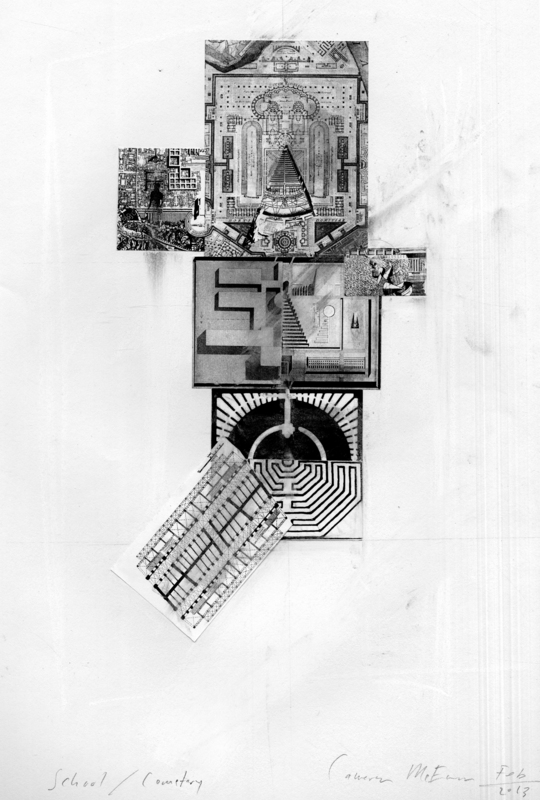 The collages operate on the historical and formal knowledge of architecture. They examine formal and conceptual possibilities between projects, forms, and spaces producing a dialogue across architecture’s history. 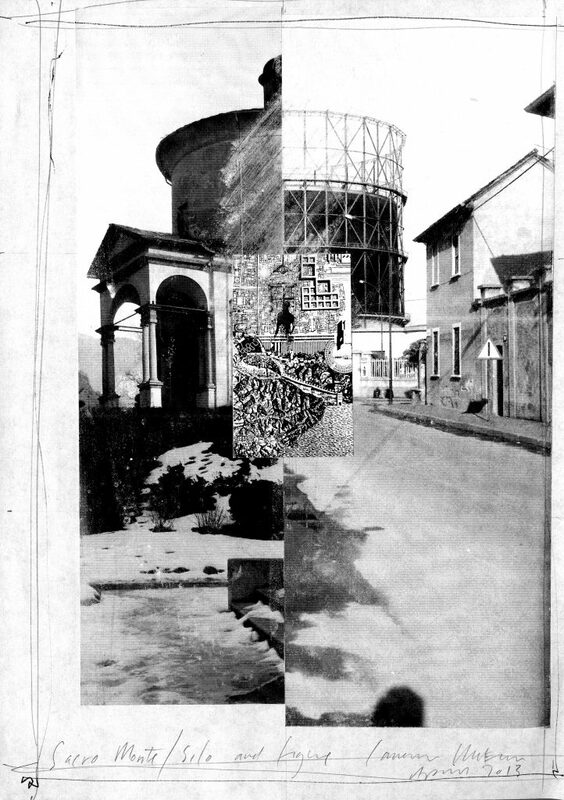 The collages are developed through repetition, where project fragments are repeated at different scales in different arrangements, combinations, and recombinations. Compositional principles are examined and an analogical procedure of substitution and replacement is put forward in relation to project association and syntax. Analysis and project coincide. History and project are put into crisis toward their remontage. City-Screen: A Collective Subjectivity, 2013. Mixed media collage with chalk and graphite on cartridge paper, 16.5in. x 11.7in. 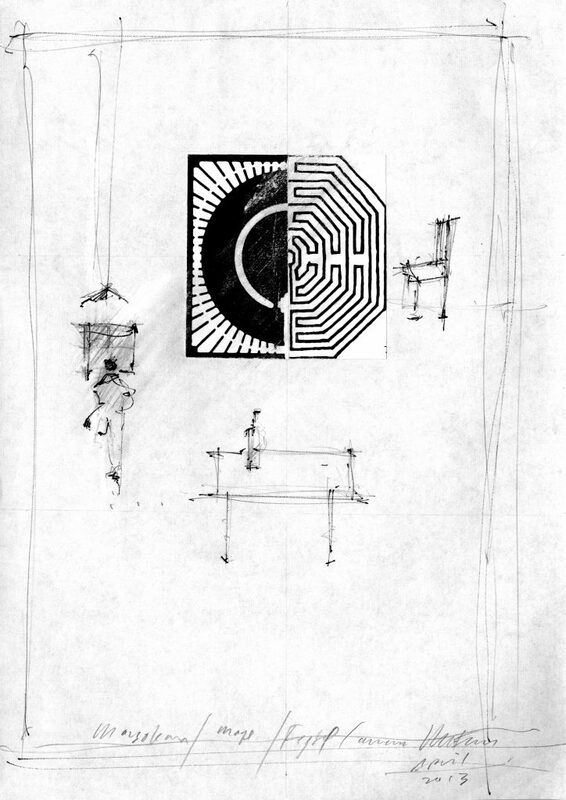 Death and the Labyrinth, 2013. Mixed media collage with chalk and graphite on cartridge paper, 16.5in. x 11.7in. School-Cemetery, 2013. Mixed media collage with chalk and graphite on cartridge paper, 16.5in. x 11.7in. Cemetery-City, 2013. Mixed media collage with ink and graphite on layout paper, 11.7in x 8.3in. 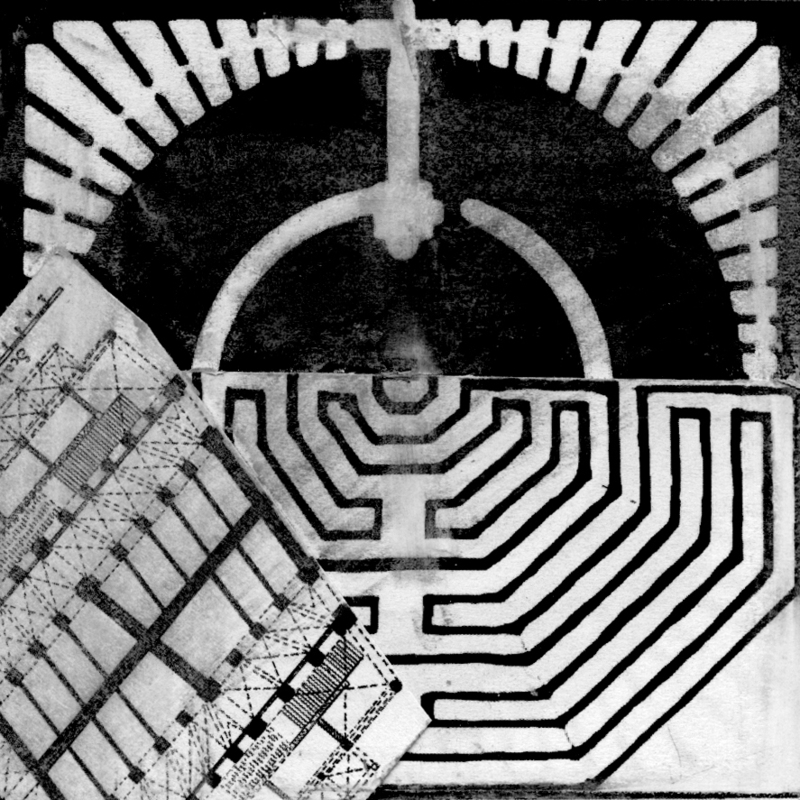 Mausoleum-Maze, 2013. Mixed media collage with ink and graphite on layout paper, 11.7in x 8.3in. Coliseum and City Hall with Figure, 2013. Mixed media collage, ink and graphite on layout paper, 11.7in x 8.3in. City Gate, 2013. Mixed media collage with ink and graphite on layout paper, 11.7in x 8.3in. Sacro-Silo, 2013. Mixed media collage with ink and graphite on layout paper, 11.7in x 8.3in. 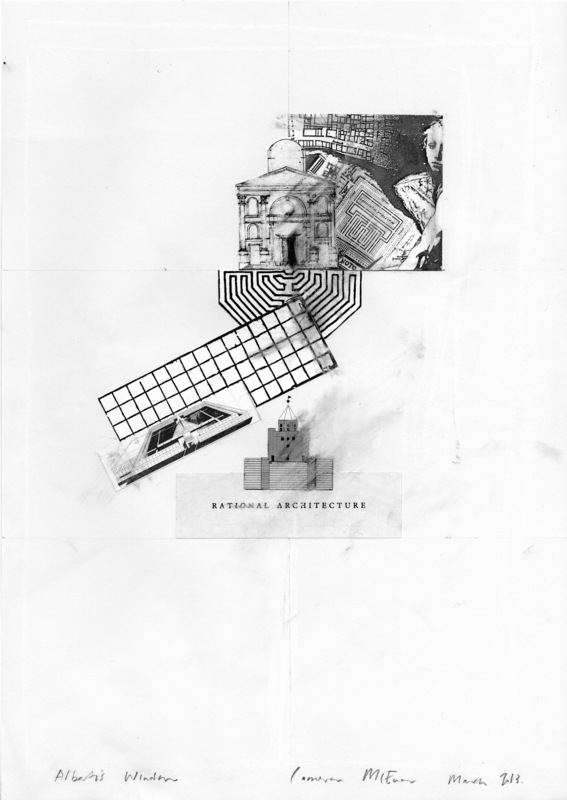 Alberti & Rational Architecture, 2013. Mixed media collage, chalk and graphite on cartridge paper, 16.5in. x 11.7in.